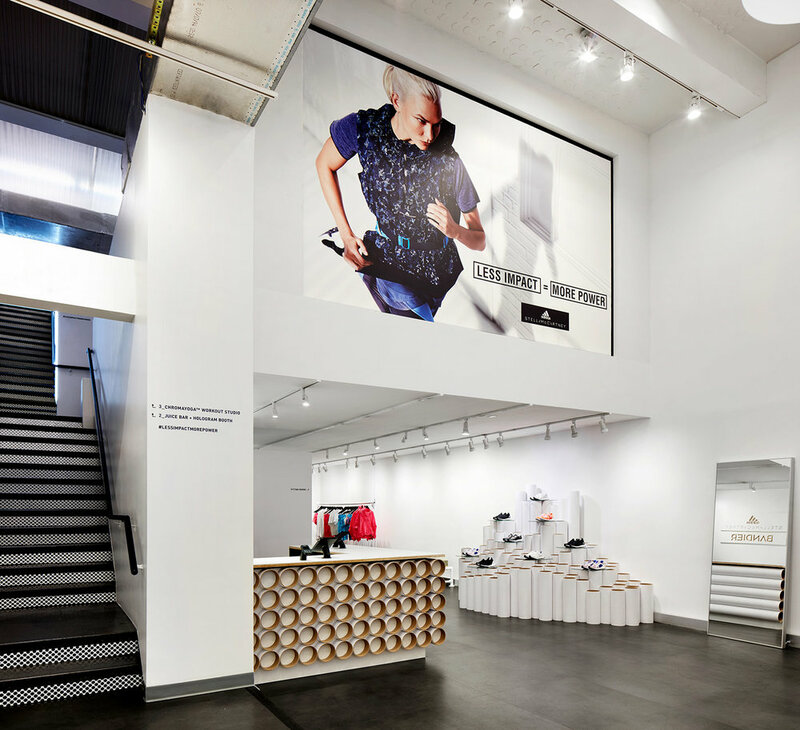 Billowed, diffused lighting and custom, hand- stitched scrims were the focal point of our retail buildout to complement the Stella McCartney / Adidas x Bandier performance clothing collection + fitness experience built around the concept of environmental impact. Bonus: the materials we used to create the displays were returned to us upon takedown, so PGF could reuse every square inch. Because Less Impact = More Power.